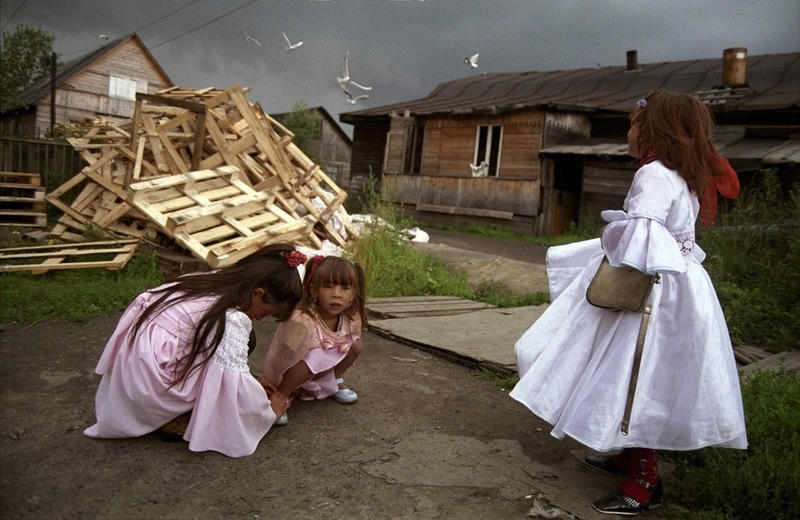 There are an estimated 180,000-400,000 Roma in Russia. The major problems they face include drugs, poverty, problems adjusting to the modern economy as well as difficulties handing down their language and culture. “I’m going to say it: The problem with the Roma is that there aren’t two of them who work,” said a young Russian police officer on a visit to the Roma village of Possiolok Gorodishy, about 150 km from Moscow. With his leather jacket and uniform, close-cropped blond hair and light-colored eyes, he looks amused as he gives a piece of his mind to Georgiy Shekin, a.k.a. Yalush in Romani, who works for the interregional Russian Roma rights network, and to Gendar, the village elder.